You are here: Home / BC Christian News / January 2003 / Physical evidence of healing? 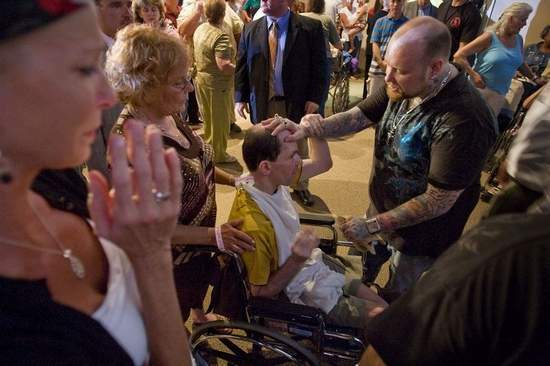 In his book Faith Healing, Louis Rose, a British psychiatrist, investigated hundreds of alleged faith-healing cures. He questioned all correspondents and sought corroborating information from their physicians. In 2001, Mayo Clinic researchers studied more than 750 patients for six months after discharge from the hospital coronary care unit. The patients were randomized within 24 hours of discharge into a prayed-for group and a control group. The prayer involved at least one session per week for 26 weeks by five randomly assigned individual or group intercessors. The researchers found no significant effect of intercessory prayer on the medical outcomes. However, in 1999, William S. Harris, PhD of St. Luke’s Hospital in Kansas City, Missouri, and his research colleagues published a paper entitled ‘A Randomized Controlled Trial of the Effects of Remote Intercessory Prayer on Outcomes of Patients Admitted to the Coronary Care Unit’ in the Archives of Internal Medicine. Harris asked the question: Is there evidence that intercessory prayer improves medical outcomes?